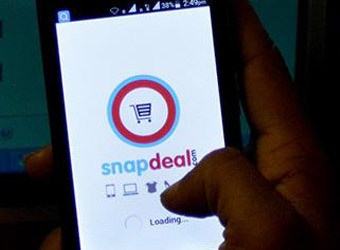 E-commerce marketplace Snapdeal said on Thursday it has acquired Insightful Labs Inc., which operates data analytics provider Targeting Mantra, for an undisclosed amount as part of efforts to improve personalised shopping experience for customers. Snapdeal co-founder Rohit Bansal said in a statement the company will leverage Targeting Mantra's tech capabilities to reach its ambitious goal of 20 million daily transacting users by 2020. The statement didn't say how many daily users it has currently. "Personalisation is a key piece which helps consumers discover and transact in a fast, frictionless and intuitive manner. The Targeting Mantra team comes with valuable experience in driving superior customer experience through machine learning," he said. Snapdeal, which counts Japan's SoftBank, Taiwan's Foxconn and China's Alibaba Group among its investors, has acquired several startups over the past couple of years as it looks to strengthen its offerings to better compete with rivals Flipkart and Amazon India in the fast-growing Indian e-commerce industry. 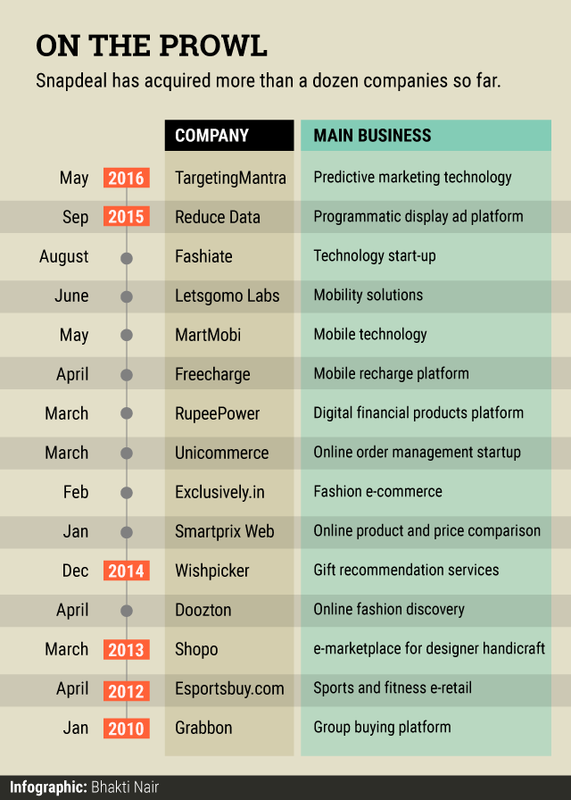 Last year, Snapdeal bought lifestyle e-tailer Exclusively.in, mobile recharge platform FreeCharge and mobility solutions company Letsgomo, among other companies. It has also bought majority or minority stakes in several other companies such as digital financial products distribution startup RupeePower and logistics firm QuickDel Logistics Pvt Ltd. The Hindu Business Line recently reported that Snapdeal was in talks to acquire online real-estate firm Housing.com. Targeting Mantra provides a unified platform to manage customer life cycle through personalization, targeting and Big Data analytics. Its omni-channel personalisation suite analyses multiple data sources, including user behaviour across web, mobile and other places to showcase the most relevant information and products to a user, thereby increasing conversion rates and revenues for e-commerce players. The Delhi- and Silicon Valley-based startup was founded in March 2013 by Saurabh Nangia and Rahul Singh. An alumnus of University of Illinois at Urbana-Champaign, Nangia had earlier worked at Amazon.com. In the past, he had also founded Bulletiny, an online bulletin board. Singh had previously worked as a consultant with Cedar Management and Ericsson. With clients across India, Southeast Asia, Brazil and the US, the firm caters to e-commerce companies in travel, lifestyle, fashion, baby products, cosmetics, marketplaces and home furnishings. Targeting Mantra had raised $1.1 million in funding from 500 Startups, Nexus Venture Partners and One97 Mobility Fund in September 2014.